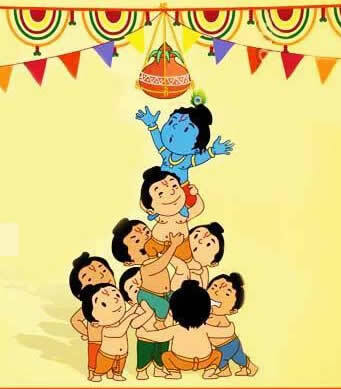 Gopalkala/ Dahi Handi is celebrated every August/September, the day after Krishna Janmashtami. It involves communities hanging an earthen pot filled with dahi (yoghurt) or other milk-based delicacy, at a convenient or difficult to reach height. Young men and boys form teams, make a human pyramid and attempt to reach or break the pot. As they do so, girls surround them, sing with music, and cheer them on.